There have been many wondering, wanting and wishing the upcoming diesel variant of Cruze will find its way to a hatchback form. Well, guess what? Chevrolet is listening, and it’s very likely. Speaking with the development team during our first drive of the 2016 Chevrolet Cruze, we asked about the diesel in particular. The Cruze sedan has already been confirmed to receive the oil burner, plucked from corporate cousin Opel. In Opel’s usage, the 1.6-liter CDTI four-cylinder diesel makes 136 hp and 236 lb-ft of torque. That program is still on track to arrive in early 2017 along with the 2017 Chevrolet Cruze hatchback with petrol power. 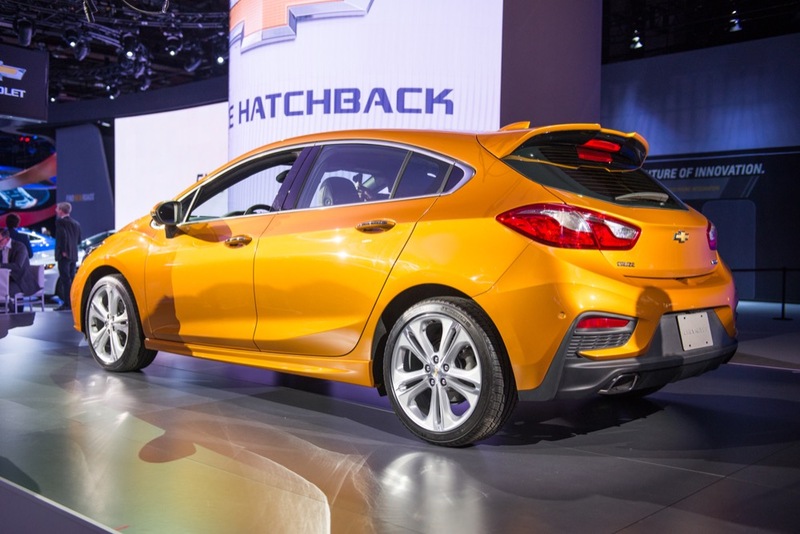 However, when pushing for extra information, Chevrolet danced around the idea of a diesel hatchback, all but confirming it will be a reality. Specifically, the brand stated both the sedan and hatchback are identical in the front, and will support the same powerplants. This was before going on to say there will be “three or four more drive programs” upcoming. What does that mean? Chevrolet will be inviting media to sample a few other variants of Cruze in the near future. A few times we were also told the Cruze family would grow, and the sedan and hatchback were only a first phase for the compact car. Knowing a diesel hatchback is likely, we hope Chevrolet will also fill a niche for a hot hatch variant, too. But, that’s another discussion entirely. Now, we can only hope a manual gearbox may be paired with the low end grunt of the four-cylinder diesel. I would go for that diesel and in a hatch too. Let’s just hope that they’ve come to their senses this time and it comes in what ever trim level we want and not just on a top of the line equipped model. When it comes out we will want to see your bills sale! Please post them. I would expect these will be fairly loaded up cars again as no one will pay the higher diesel price with out some options included. The cars with and with out options will be close in price. There is just no way to make the engine cheaper so they try to add value with the addition of options that are much cheaper to add to the car. The Diesel just comes across as the car that everyone wants but so few buy. At least in North America. It is a shame. I think the added cost of all the emission just takes its toll as well as GM’ mishandling of the engine in the 80’s. I think the biggest problem with the diesel engine option is that the 1.4T is such a good engine in this application. The diesel will have to be amazing. For the global market hope that they will add the 2.0 diesel and a wagon variant. Cruze hatchback diesel as it seems almost too logical as the hatchback offers utility with greater rear passenger headroom and cargo capacity than the sedan while the diesel should offer range mirroring what hybrids are capable of achieving; but the best part is that this is a Chevy.. and if they’ve learned lessons from the prior generation Cruze diesel, they’ll make the engine option without needing to buy a ton of options. There in lies the problem. The engine is so expensive that if included on a base model it appears as such a poor value. The options are not where the added cost is the engine itself is the real cost issue. Yes please with a manual. Can they include a spare tire option in the hatchback diesel? That would make my day. 1.6L turbo diesel it is an amazing engine. Can’t wait to get my hand on one. And manual transmission please. We need a nice 1.6 liter turbocharged diesel engine that will attain 46 miles per gallon of the cetane-rated fuel. This would make a trip to the United States of Mexico a great deal of fun. If careful driving can obtain a minimum of 546 miles to a tankful of #2 diesel, about seven tankfuls of the oil can take me on a nice vacation to the tip Baja California Norte and back up to Sonoita, Sonora/ Lukeville, AZ then back to the Pacific Northwest. An oil changes and a gallon of urea will take care of the rest.